Or “so thrilled I just got to help my buddy at his wedding…they ran out of wine and I blessed their water and GLORY! Thanks dad! Would Jesus post photo’s of himself or of the people that he was trying to minister to? What kind of “links” would he have…perhaps a link to healing, a link for those who hunger and thirst for righteousness? Oh and don't forget videos! Can you imagine Jesus uploading videos to YOUTUBE that meant absolutely nothing? I don’t think so either! I do believe that He expects us to utilize the knowledge and expertise of our day to engage in society(culture) and evangelize those in our circle of influence. This can and will only happen when I get out of MYSPACE and into His. “Fix your attention of God” the scripture says. God is ready to bring out the best in you to help promote the best in others too. 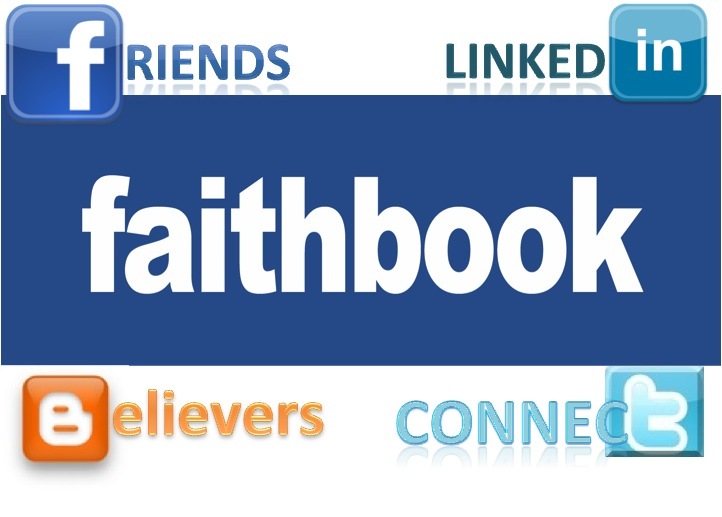 Take some time today to get acquainted to Faithbook, His Word, and start a spiritual profile. You will be connected to the largest social network in the world: the church of the living God! So, are you going to join Faithbook?